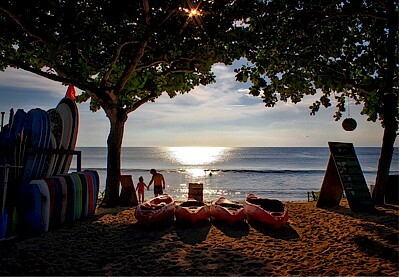 It’s your journey, to learn and discover, to ride new boards, score new waves and explore new reefs. Your ultimate experience is at the heart of what we do. Tell us what you’re searching for and we’ll do everything we can to make it happen. At the Rip Curl School of Surf, the ocean is our classroom and you choose how you want to ride it. Whether it’s surfing, wakeboarding, freediving, bodyboarding, kitesurfing, stand up paddleboarding, scuba diving or windsurfing, you have it all in Bali. Shared on the surface or float through the depths, start from the beginning or hone your skills, our crew of coaches will show you how. With schools in Legian and Sanur, we’re in all the spots to give you exactly what you’re searching for. Get your degree in stoke at the Rip Curl School of Surf. 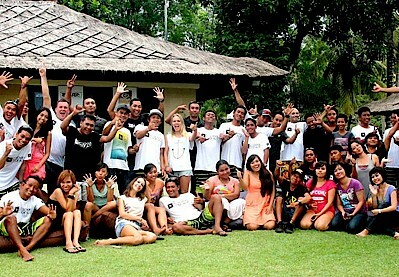 All of the crew at the Rip Curl School of Surf live and breathe the beach lifestyle and love sharing the fun they have with you. Our surf coaches are Surfing School Instructors trained and hold the Australian Bronze Medallion Certification for lifeguarding. Our kitesurf coaches are accredited by the International Kite Organisation, and our diving coaches are certified by the Professional Association of Diving Instructors. Our awesome crew and the 48 internationally recognised surf and dive courses we offer have made us an award-winning watersports academy year on year. Imagine this…getting picked up at dawn, kicking back in our custom surf van and watching the latest surf flick to get amped up for your session. Then choosing from a huge quiver of the latest surfboards, from DHD shortboards to Softtop longboards. Rip Curl rashvests, boardshorts, reef boots and surf helmets are all provided, along with impact vests for wake, kite and windsurfers. Before you hit the beach we’ll hand out sunblock to slap on any exposed skin for protection. We take care of everything, so all you need to do is bring yourself and plenty of energy! Use of the RIP CURL trademarks by Rip Curl Pty. Ltd. under license from Rip Curl International Pty. Ltd.